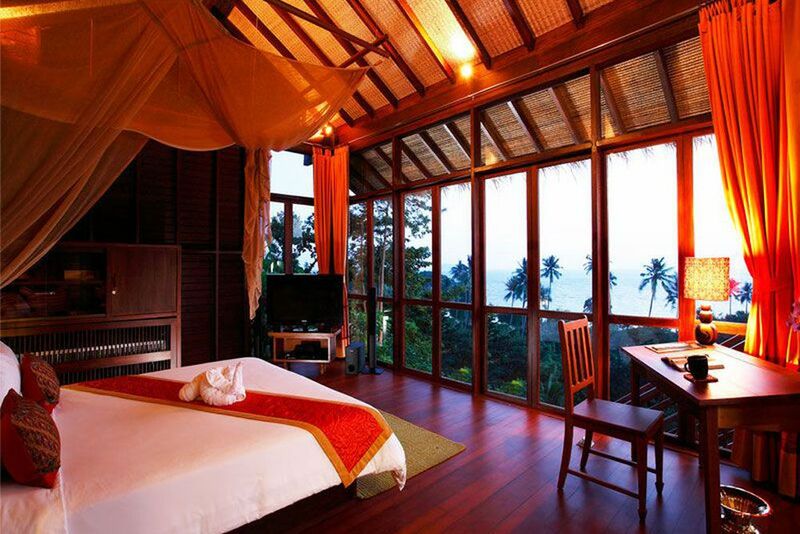 Zeavola Resort is one of the smallest luxurious resorts in the world, located on the sustainable Phi Phi island. The rustic, romantic air and tranquil, white sand beaches of Laem Tong make the barefoot, luxury experience an unforgettable memory of a lifetime. 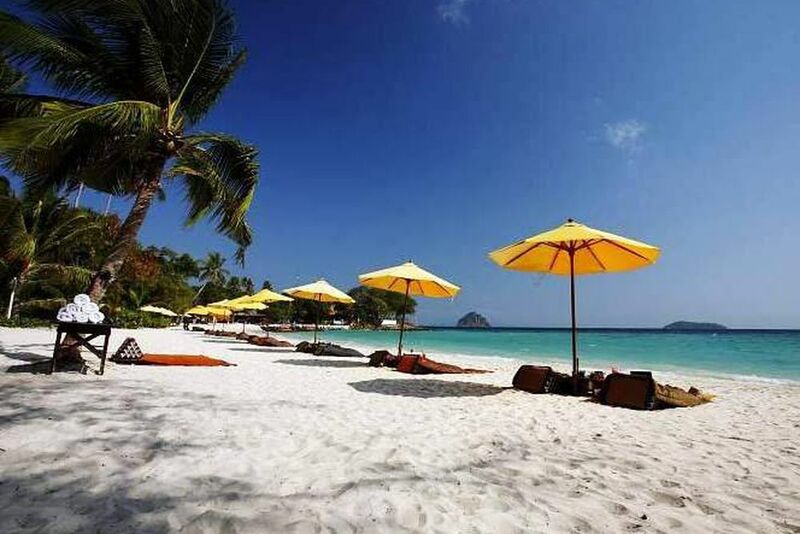 Smell the salty ocean breeze as the morning air greets you, and feel the warm, white sand between your toes on the islands of Koh Phi Phi. The gentle coves and lush, green jungle welcome you for adventure as you lay your eyes on one of the many dream islands. 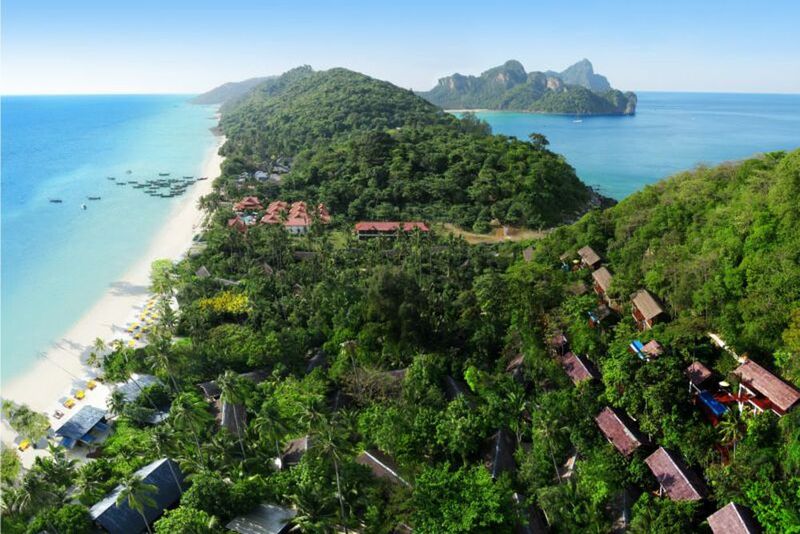 Located on the glistening sand of Laem Tong Beach, Zeavola Resort is on the northern tip of Phi Phi Don Island. Only accessible by boat, it offers seclusion and peace amid the tropical nature. 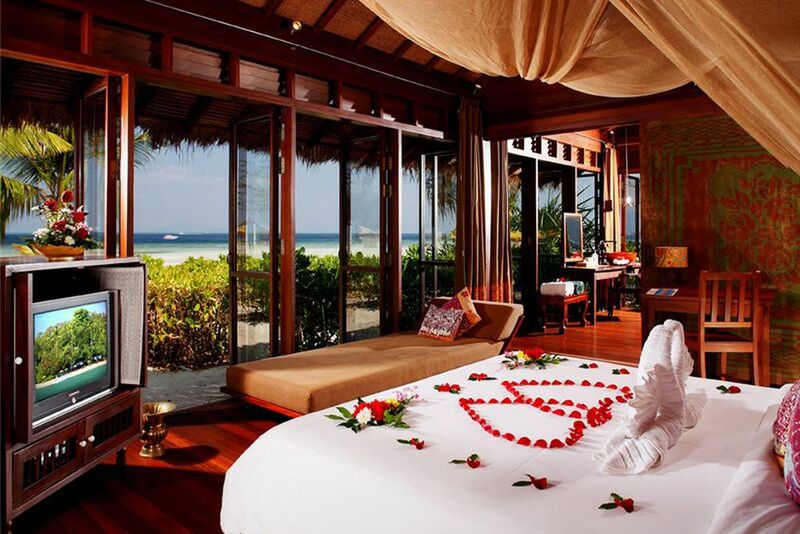 This romantic boutique resort follows traditional Thai style, making it the perfect place to relax, let go and recharge. 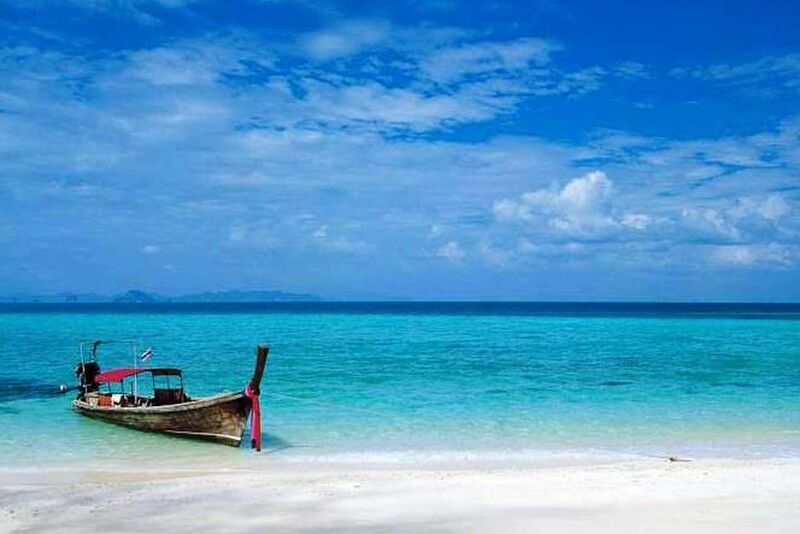 The island of Koh Phi Phi is about 48km from Phuket, which can easily be reached by a speed boat within one hour. Zeavola offers its own fast boat service from the Royal Phuket Marina and directly to the resort. The additional car route from Phuket Airport to the Royal Phuket Marina takes about 30 minutes. Alternatively, there are public ferries running from Phuket, Krabi and Koh Lanta all year round. Near Zeavola, there are many interesting places, such as the famous Maya Beach and the dream islands Phi Phi Ley or Bamboo Iceland. 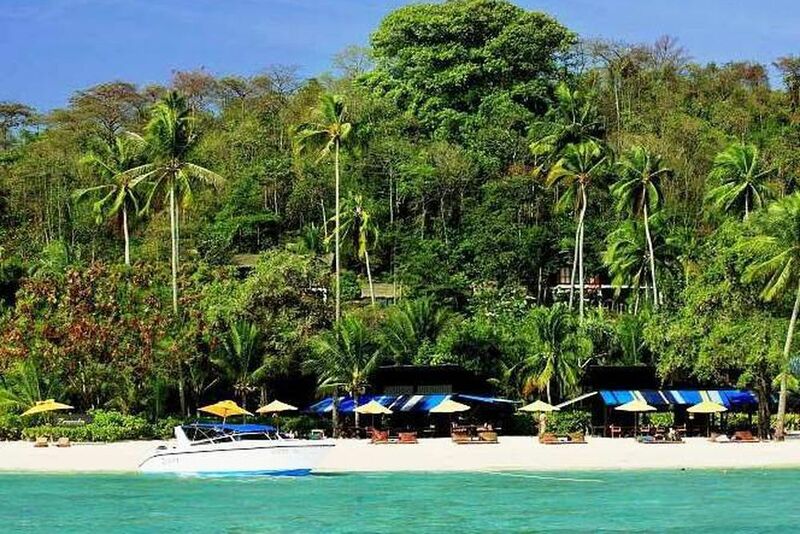 Zeavola Resort is a first-class resort built in traditional Thai style and harmoniously nestled in the original nature of the island of Phi Phi Don. In addition to the excellent and unobtrusive service and standard of the house, the proximity to nature is particularly beneficial to your relaxation. Cool off and replenish your sun-kissed skin at the large pool, or take a dip in the deep blue sea. 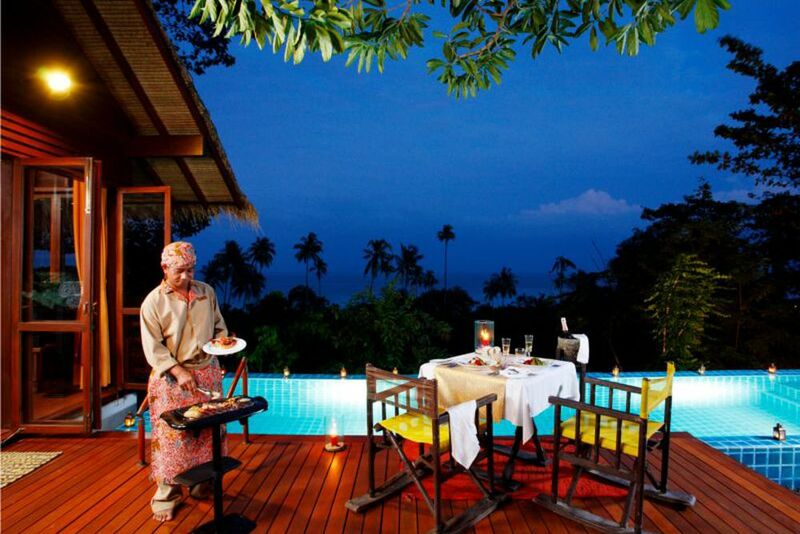 Treat yourself to delectable Thai meals at the different restaurants located at the resort. The Baxil Restaurant offers Thai cuisine in a stylish setting at a high level, as well as a good selection of international wines. In the Tacada Restaurant, guests enjoy their food under the open sky. In a relaxed atmosphere, there is international cuisine. Thai dishes, fish and seafood, and BBQ. The evening ends with a relaxing cocktail in hand, and feet in the sand at the Tacada Bar. The beachfront bar invites you to watch the romantic sunsets or refresh under the golden sun. There is also a small business center with internet access that the boutique resort offers to all guests. 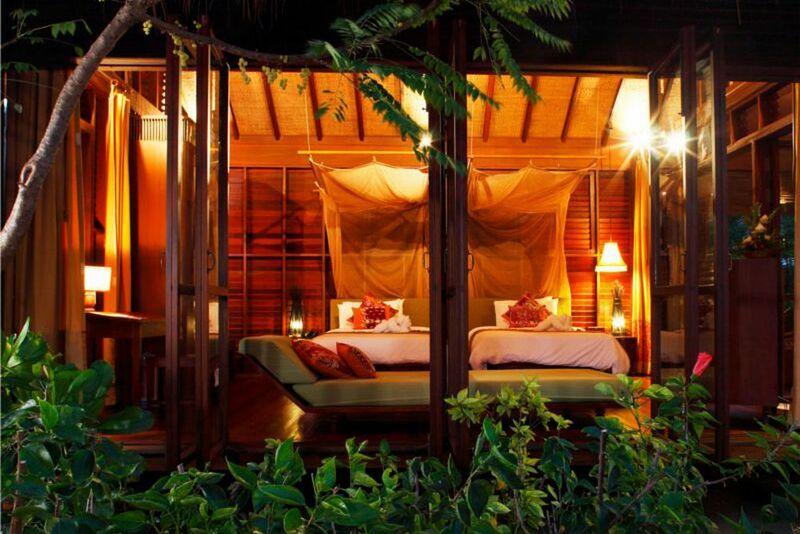 All 52 suites have been lovingly decorated with teakwood and embody the typical, cozy style of a traditional island house. They extend over the 4 hectares of lush tropical gardens that surround the beautiful hotel. Generally, all suites have an air-conditioned bedroom and a separate open-air living area with two armchairs, minibar and coffee/tea maker. They are furnished paying close attention to detail in the antique style. The 10 village suites (40 m²) are lovingly furnished in antique style, have an air-conditioned bedroom and a separate open-air living area. They have a shower, WC, hairdryer, telephone, safe, CD/DVD player, air conditioning, satellite TV, minibar, terrace and tea and coffee making facilities. Garden Suites (60 m²)— These suites have an extra bed, a slightly larger open-air living area to unwind and appreciate the sights and sounds of nature. 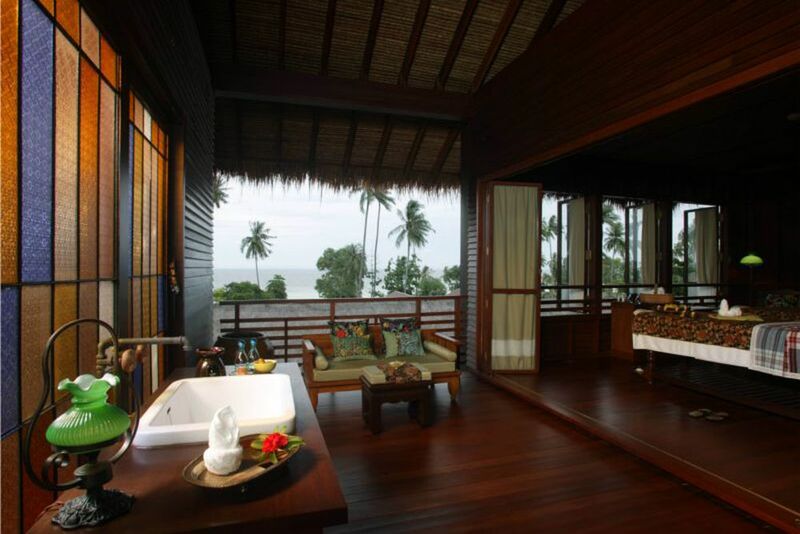 Opt for an outdoor shower depending on your mood, or enjoy the special ambience in the partially open-air bedroom. Beachfront Suites (60 m²)— Offering a prime beachfront position tucked away at the edge of the resort, beach lovers can gaze at the sea in absolute comfort and indulge in luxury amenities. 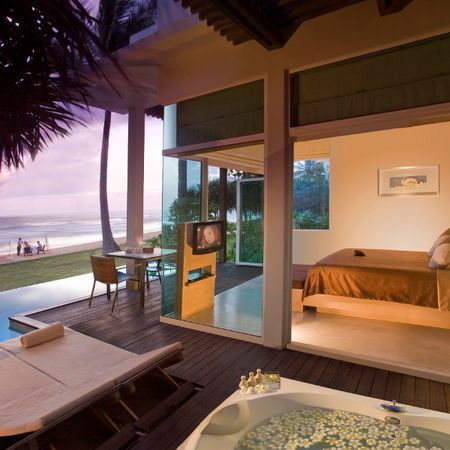 It includes an expansive outdoor living area and a partially open-air designed bathroom. 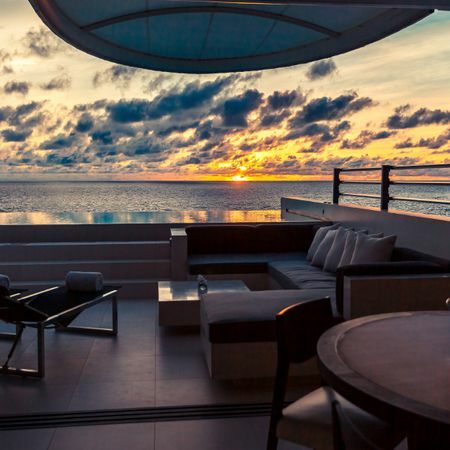 Pool Villa Suites (120 m²)— These 2 story villas are located on the hill and offers a magnificent 180-degree sea view from the comfort of your suite. Each villa has an exclusive and protected location with a private pool, sun terrace and separate relaxation room with day beds. 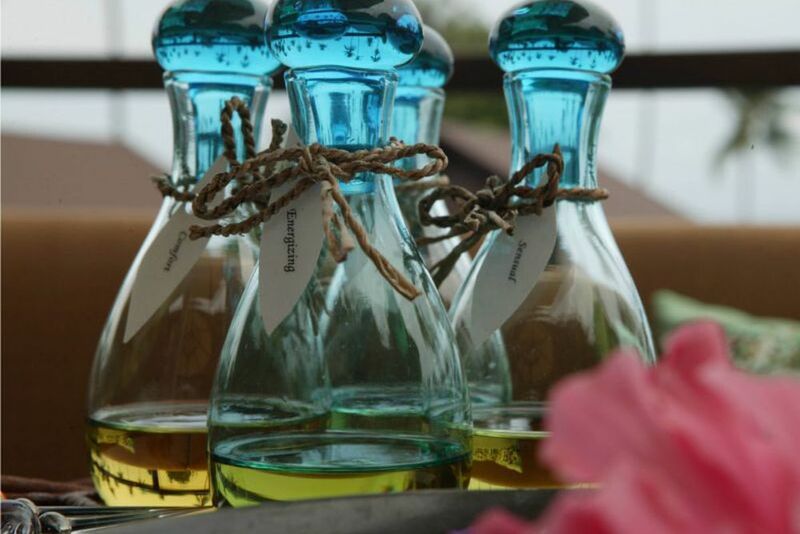 Experience a unique treatment that refreshes your senses and rejuvenates your body at the Zeavola Spa. 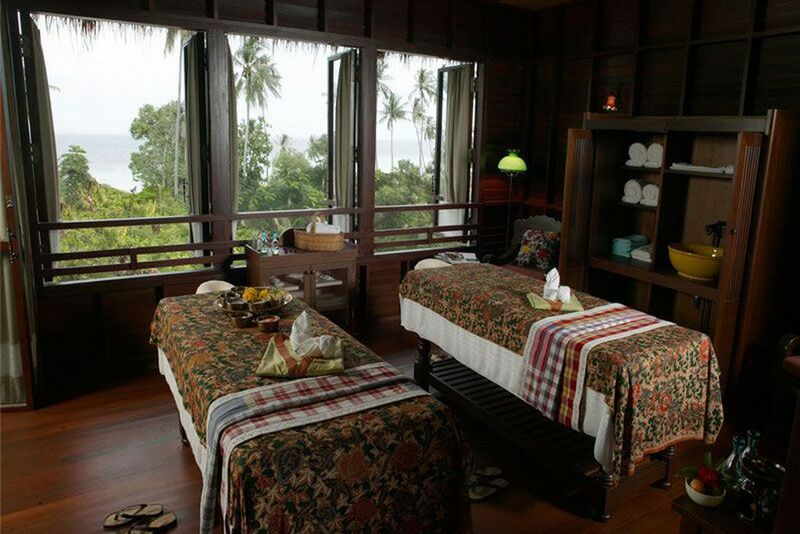 The respect for the original power of the nature of the island is the highest credo at the spa. Zeavola Spa offers you a variety of exclusive treatments (for a fee) that aim to recover tired muscles, balance your energies, focus on the inner strength of your body and make you feel healthy and happy. Natural products and treatments are used, which are based on a traditional basis, using modern knowledge. Guests are offered a steam bath, a sauna and a rain shower. All the treatments and facilities of the spa are designed to be used as a couple and offer ideal opportunities for romantic moments. As a special highlight of your spa stay, you can also dine at the Zeavola Spa. The dishes served here are designed according to recipes of modern healthy cuisine.